You must be a member of the Budapest Photography Group to attend this activity. Would you like to join this group? 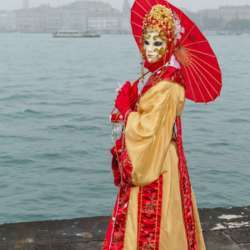 I am going to Venice for one of the most beautiful Photography Event "Carnevale Venezia". Every year for Carneval thousend of photographer meet the unique Masks of Venecian Carneval. If one of you is interested, you can join me on my trip. We can expect that the weather will be fine - because this year the Carneval is begin of March. Please take in mind, accomodation and flights have to booked as soon as possible.